unknown 1993 F-104G 4380 11 AG RoCAF written off pilot ?? 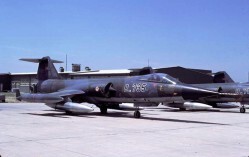 This Starfighter (USAF serial 63-13264) was written off for an unknown reason in 1993. 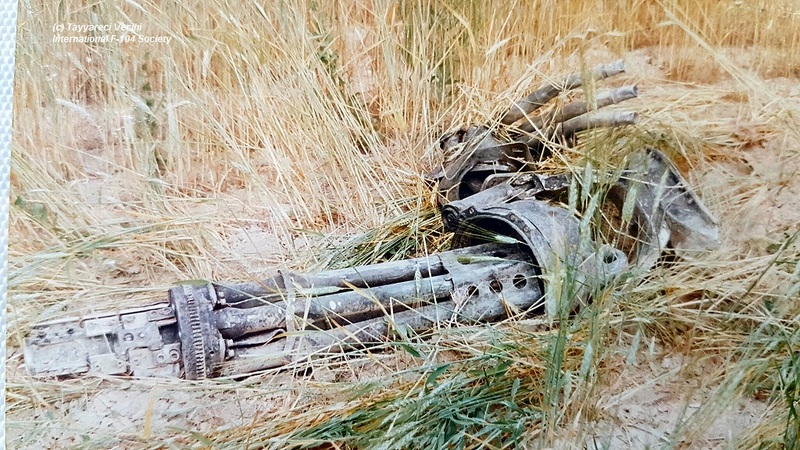 Fate of the pilot unknown. 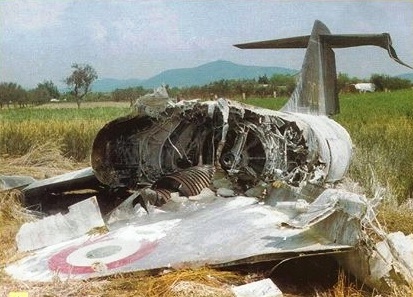 This Starfighter (USAF serial 67-14892) crashed 60km south of Taipeh into the mountains (Qi Lan Mountain area). The pilot flew a routine-trainings-mission from his homebase Hsinchu and encountered an engine-failure. 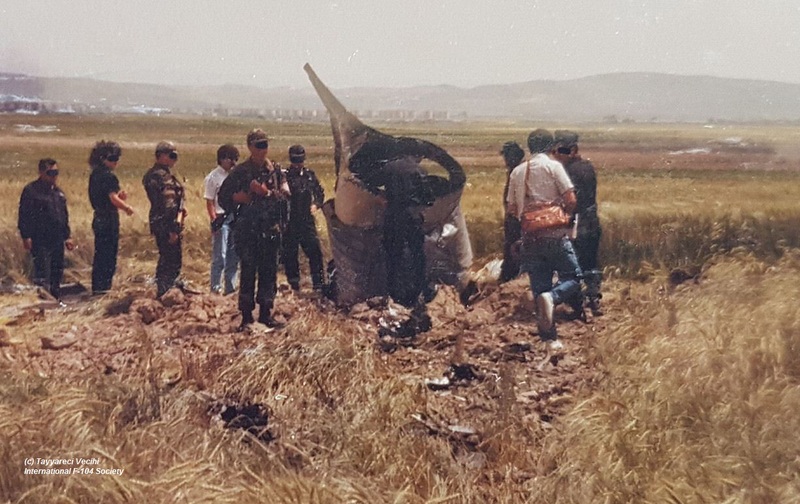 Pilot Chang Fu-ji (Zhang Fu Yi) ejected safely and was rescued 2 days later. After he ejected, he glided east, into an ancient forest, and hanged on a tree. He eventually freed himself, climbed to the ground, and instead of solid ground, the ground had a layer of fallen leaves, 1/2 foot thick. Before he climbed down, his survival package hanged on another tree, and he couldn't get it. Due to the trees, the S-70Cs couldn't immediately find and rescue him, and dropped seven survival kits near him. A ground team took three days to reach him, and already used up their food, so he gave them the food from the survival packs. Examination found out the cause : In the air, a gear shaft broke, damaging the engine and stalling it. Both CF-104s were involved in a mid air collision. (104735/62-735/8-735) crashed near homebase Diyarbakir. Pilot Hv. Ütgm. Sadettin Baycan (26 years old) was sadly killed. 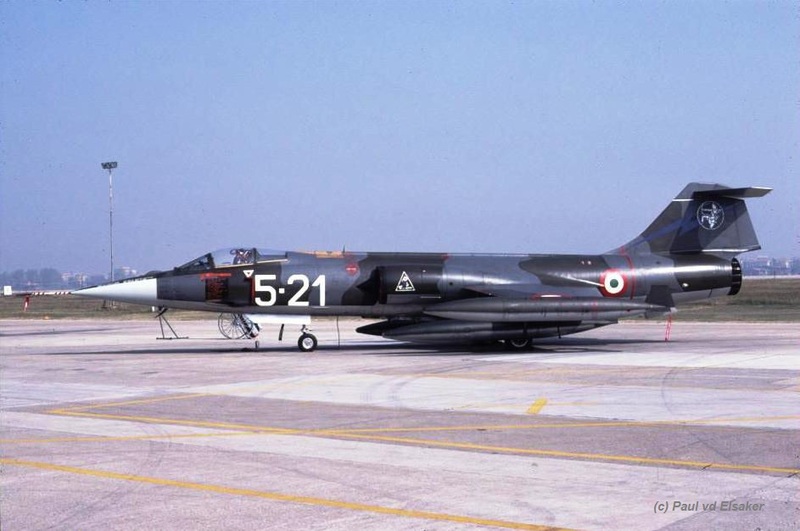 The other aircraft (104751/62-751/8-751) could land safely but it was declared written off afterwards due to the ending life time of the F-104s in Turkey. Beneath some photo of the two collided aircraft. The aircraft (63-8140/8-140) crashed not far from home base Diyarbakir. The aircraft made a test flight after maintenance when the engine stalled on high level (above 35000 feet). 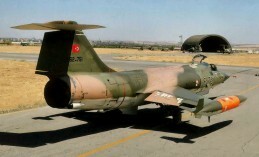 Pilot Cihan Gülbiten tried to restart the engine but when reaching 10000 feet he finally decided to eject and was safe. 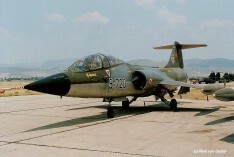 During an arrestor cable landing this Starfighter was severely damaged on its left wing. Later on it was shipped to 4RMV at Grosseto for checking the damage at 4 RMV. 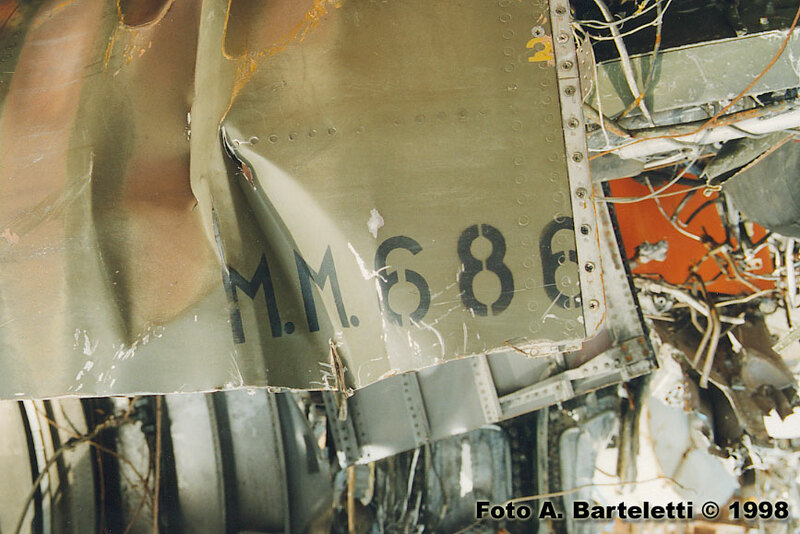 On 22 December 1995 the aircraft was declared written off with 3251 hours flown. Late 1997 it was erected as a new gateguard at Gioia Del Colle still as 36-12. This starfighter encountered engine problems during the take-off from its homebase Grosetto at 2:30 PM local tiem. When the pilot (Ten. Ettore Di Blasio (27)) understood the aircraft could not be stopped in time before reaching the end of the runway he decided to eject. Unfortunately the chute did not open and the pilot died. The starfighter run of the runway and went trough the fence and crossed a road where he hit a car and stopped some 500m ahead. The aircraft was destroyed by fire and two of the three persons inside the car where just slightly injured. 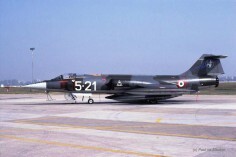 The aircraft was wearing '200000' (200.000 total F-104 flying hours of 4th RMV) on its fuselage. 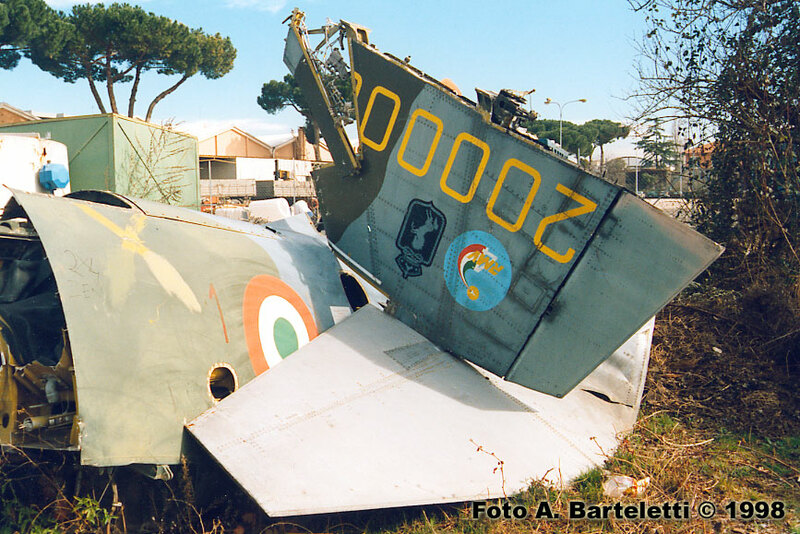 The scrapdealer Bentivoglio near Rome has scrapped the remains lateron. 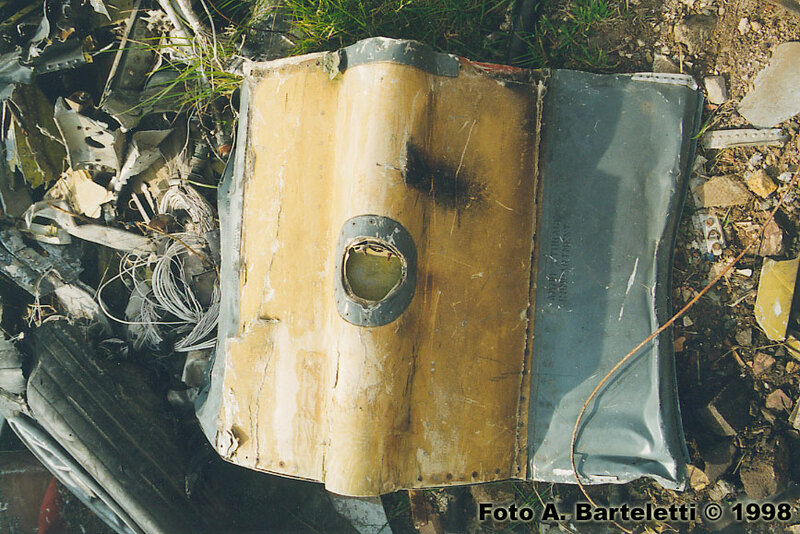 Beneath some photos taken in 1998 at Bentivoglio and provided by Allesandro Barteletti and finally a photo taken at the crashsite just after the accident (AMI Flight Safety magazine). 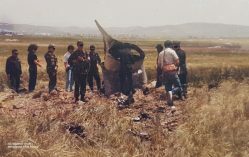 The aircraft (64-8200/8-200) It crashed near Akinci after the engine stalled. Pilot Ali Serdar Karasoy ejected and was fine. Aircraft crashed into a field almost vertical. 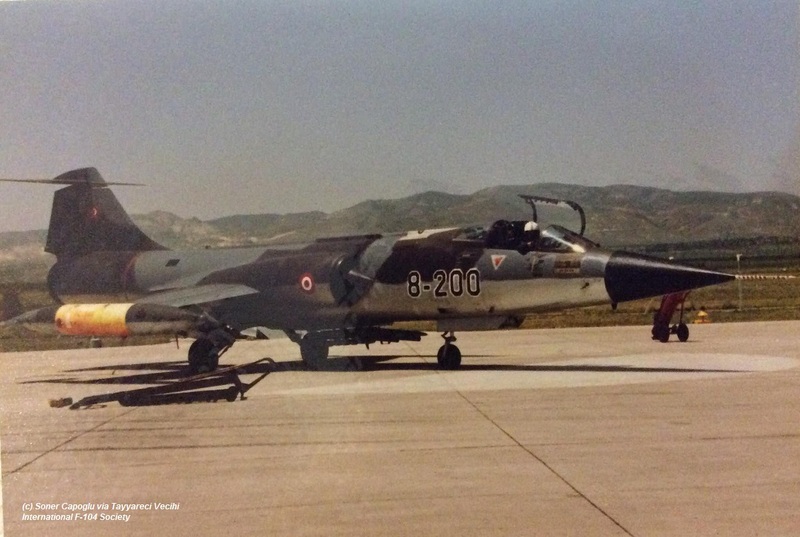 Pilot stated: We were there at Akinci for shooting competition. We would do four high pattern ( bomb and rocket ) and four low pattern ( gun and also bomb ). After I left second bomb during low pattern, I was climbing for downwind. Then I recognized that the engine rpm and EGT were going down. It was about at 800". I could only have 1 attempt to start engine but it was failed so I have ejected. The engine failure was caused by a malfunction of a valve inside the main fuel pump. 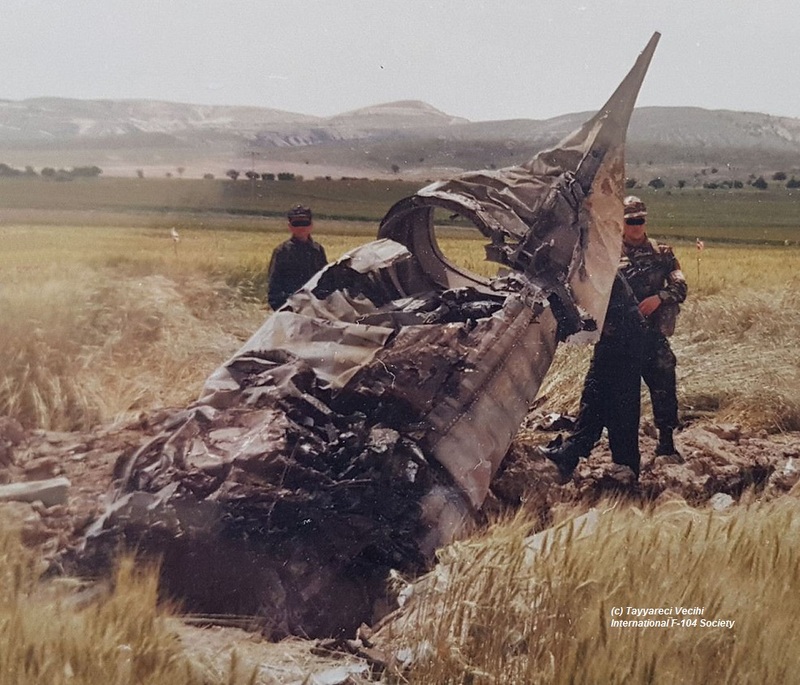 The final photo (taken by Soner Capoglu) shows the aircraft and pilot 32 minutes before it crashed. 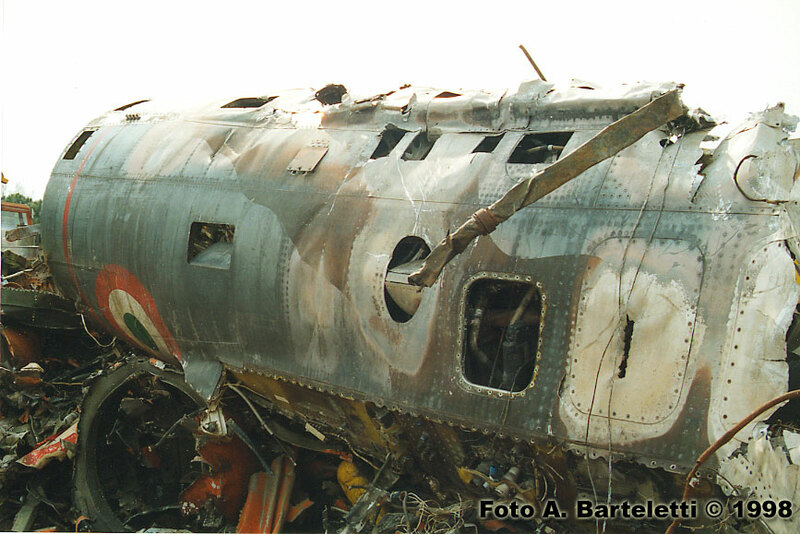 Other photos show the crashsite (photos thanks to pilot). 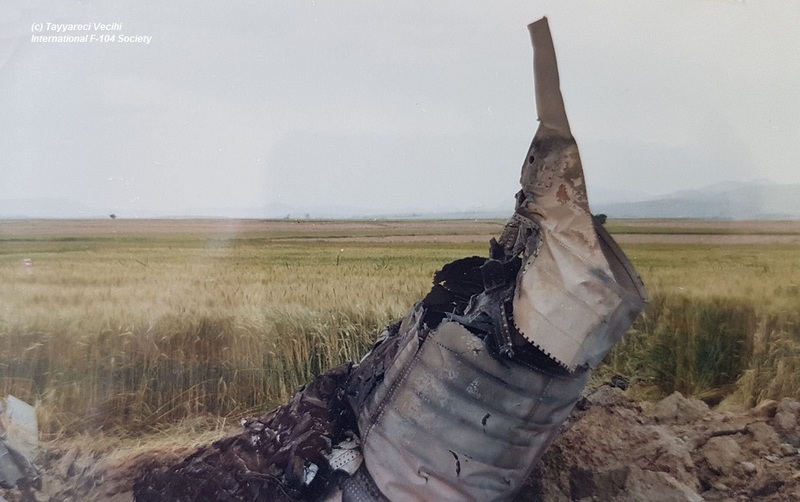 The aircraft (63-5720/9-720) crashed near Batman, both pilots used their seats and were safe. Beneath a photo taken by Roel van Gestel at Akishar in July 1992..